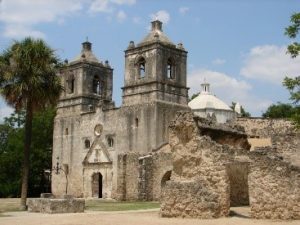 Society Made World Heritage Nomination Its "Mission"
The missions’ transformation from crumbling curiosities to an internationally acclaimed World Heritage site could not have happened without the San Antonio Conservation Society. Our efforts began just two years after the organization’s founding in 1924. 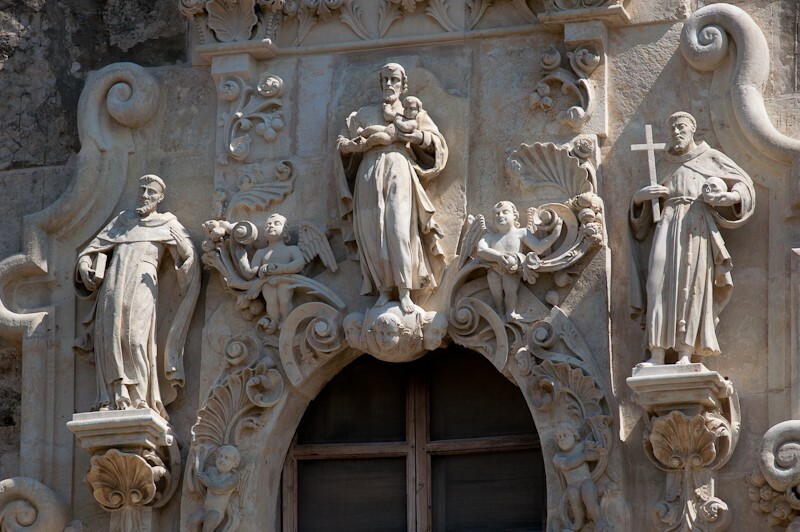 Members purchased the doors to the San José Granary to save the bronze medallions from souvenir hunters. 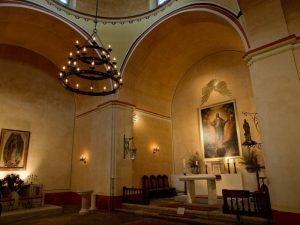 Soon, the Society found itself invested in a decades-long effort to preserve and restore the buildings and lands of San Antonio’s southern Missions, including the San Jose granary itself, the Espada aqueduct and dam, the San Juan acequia, and acres of mission farmlands. 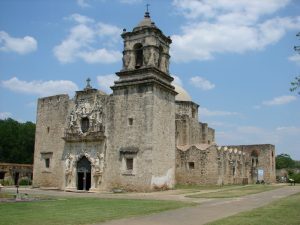 In 1941, the Society brokered the establishment of a state park at San Jose Mission with the Catholic Church. We proved critical to the creation of the Missions National Historical Park in 1978, and in 2006, we organized the UNESCO World Heritage nomination that led to inscription in 2015. See below for a detailed chronology of the Society’s contributions towards preserving the mission structures and elevating their cultural status. Or, view our Virtual Exhibit showcasing the history of the missions with historic materials from our library. 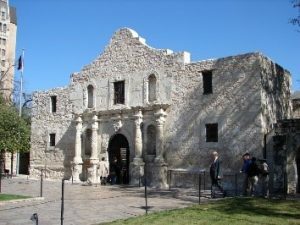 “The San Antonio Conservation Society has always, since its 1924 beginning, taken on some seemingly impossible roles for maintaining the historic sites, structures, and history of Texas. 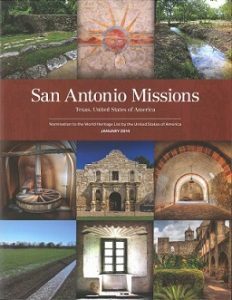 In 2006, the Society took on one of those seemingly impossible goals – the World Heritage designation for our five San Antonio Missions. . . But, I want to thank some very important people in this Society who have been involved in continuing our quest – first – Paula Piper, who has been with the working team for this whole nine years. . . I thank the four presidents and their boards who have stayed with the World Heritage project – Marcie Ince, Rollette Schreckenghost, Nancy Avellar, and Sue Ann Pemberton, [FAIA]. . . You can all thank each other for your faith and funds in this latest project . . . It has been an experience that not a single one of us will forget.” – former Society president Virginia Nicholas to the Society’s Board of Directors, June 17, 2015. Click to read more 1920s history! Shortly after our founding in 1924, we translated our passion for the neglected Spanish missions into action. We joined with the Daughters of the Republic of Texas in urging the City to purchase the private property adjoining the Alamo. 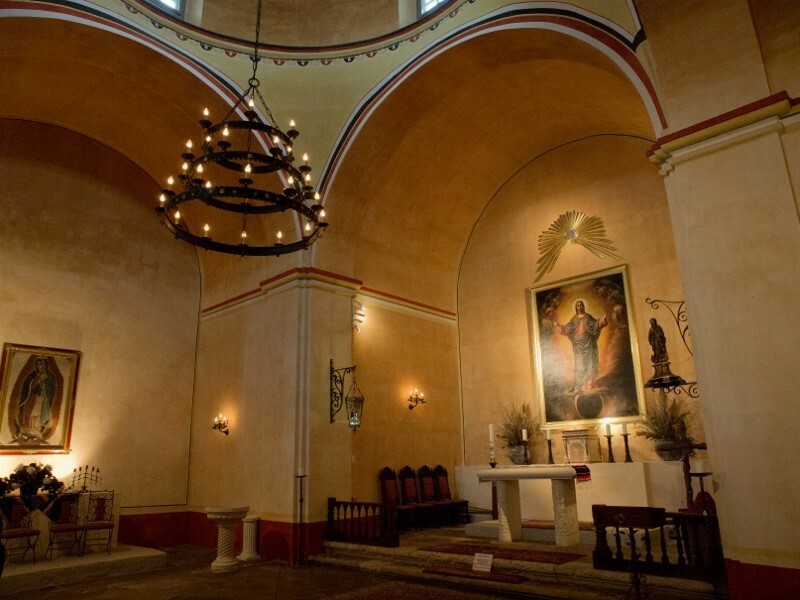 In 1926, we made a purchase of our own: the last original doors to Mission San Jose’s granary. That was just the beginning . . .
Click to read more 1930s history! 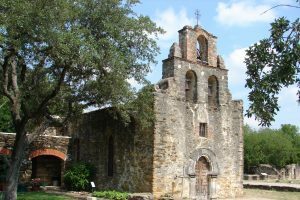 Despite financial hardships, our members continued to purchase pieces of the mission lands and began restoration work at Mission San Jose. In 1936, we bought the Espada Aqueduct to protect it. The double-arched aqueduct carries water in the Espada acequia over Piedras Creek. It is the only Spanish structure of its type still in use in the United States. Click to read more 1940s -1960s history! 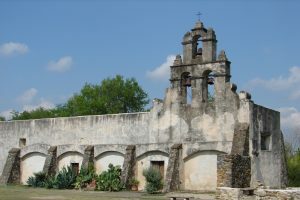 Mission San Jose become a Texas state park, with our help, in 1941. We also played a key role in the court case that restored water to the San Juan acequia in 1964. 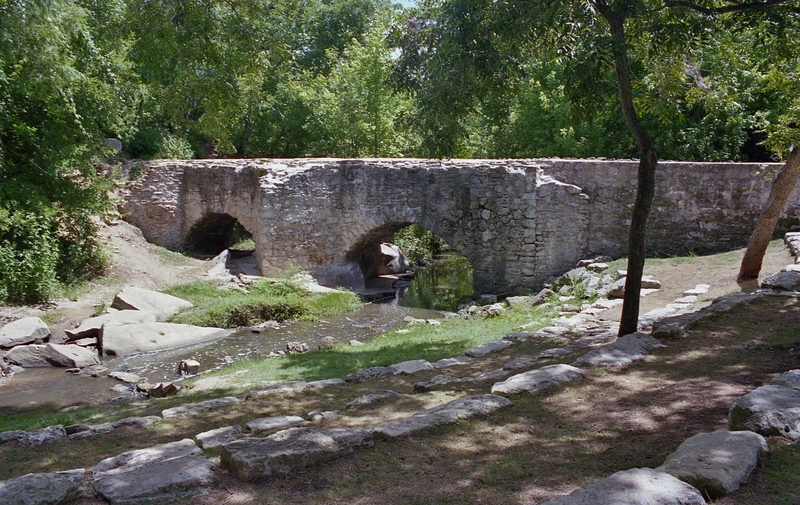 This acequia watered a large pecan grove and historic farmlands that were still being worked around Mission San Juan. Click to read more 1970s – 1980s history! 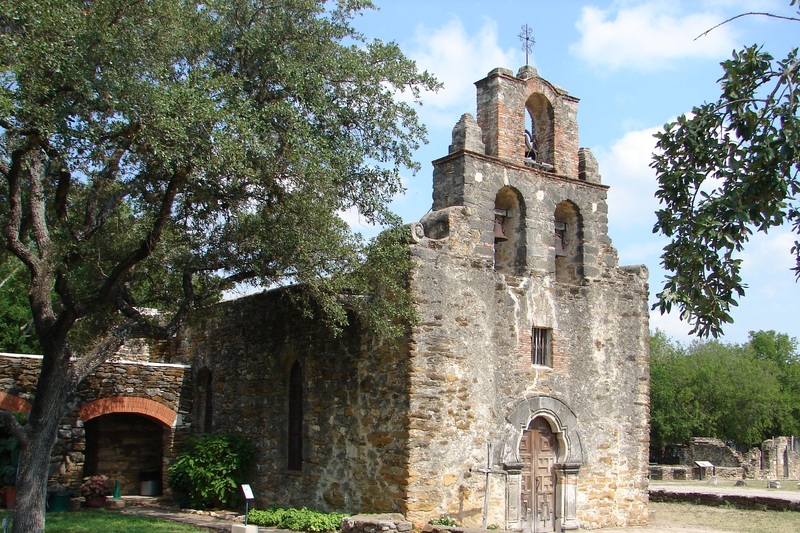 We lobbied hard for the creation of the San Antonio Missions National Historical Park to preserve Missions Concepcion, San Jose, San Juan and Espada for future generations. Click to read more 1990s – 2015 history! In addition to funding, we contributed considerable time and effort to placing San Antonio’s five missions on the world stage. We took the lead in starting the World Heritage nomination process, which took from 2006 to 2015 to complete. 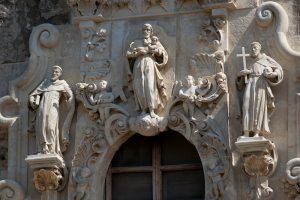 In July of 2015, the missions became the first UNESCO World Heritage Site in Texas!